In These Times, Critical Inquiry and Z Magazine. From 2004-2010, he was Managing Editor for the journal Theory & Event, before co-editing the volume Deleuze and Race (Edinburgh University Press, 2013) and founding Conatus Publishing, now the official publishing house for GCAS Press. Adams’s first book, Occupy Time: Technoculture, Immediacy and Resistance After Occupy Wall Street (Palgrave Macmillan, 2013), was inspired by the occupy movement, with which he became involved while teaching a few hours north of NYC’s Zuccotti Park at Williams College, in Western Massachussetts. 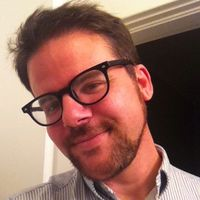 Adams lives in Grand Rapids, Michigan, where he is working on his second book, Remediating Belonging: a Media Archaeology of the Postwar Citizen-Subject.